Asadour H. Hadijan is currently a member of the Senior Technical Staff of the Defense Nuclear Facilities Safety Board. His responsibilities include the review and evaluation, for extreme loading conditions, the analysis, design, construction, operation and decommissioning of DOE defense nuclear facilities. Mr. Hadjian has more than 45 years of experience in civil/structural engineering and project management. 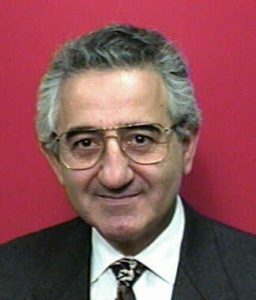 From 1965 until 1993, when he joined the DNFSB, Mr Hadjian worked at Bechtel Corporation on commercial nuclear power projects, managed advanced studies, served as corporate-wide consultant on earthquake and structural engineering problems, and advised management on technological policy issues. Mr. Hadjian serves on code writing committees of the American Society of Civil Engineers and the American Nuclear Society. He continues to be actively involved in the International Conferences on Structural Mechanics in Reactor Technology (SMiRT). He is a past-president of the International Association for SMiRT, and currently its Advisor General.